Hi beauties, I hope you are all doing well this week. 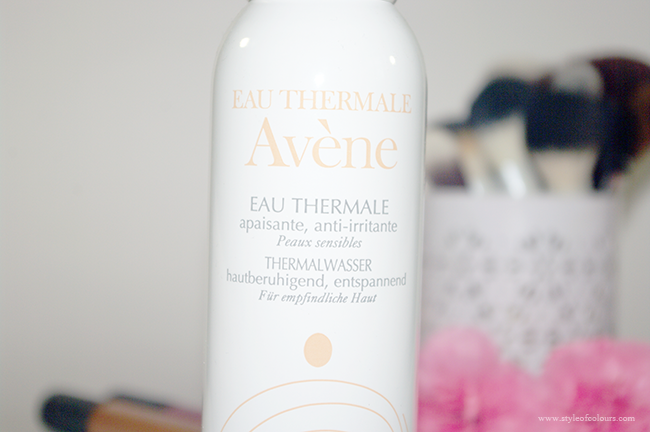 Today, I would like to tell you about the Avene Eau Thermale Thermal Water Spray. This was a present for me from a relative who has been using it herself and had very nice things to say about it so I was very excited to try it out. I have been using it on and off for a while when I feel my skin needs some freshness. 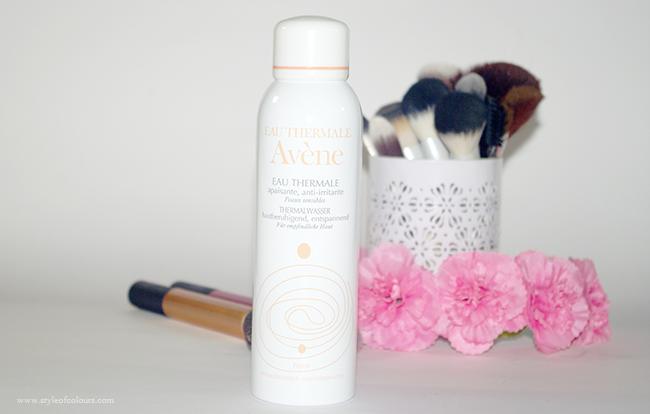 The Avene Thermal Water Spray is spring water in a can which helps refresh and soothe skin as well as sets makeup. Yes I know it seems weird that water can set makeup, but somehow it does. When I first got the product, I used to apply it after doing all my makeup without knowing it sets my makeup until one day I applied it after applying my foundation and then decided to cover my acne scars a bit better by applying some more foundation. Basically I messed up my foundation and it became all patchy because I didn't let it dry properly thinking it is just water. Then I understood it is much more than just water in a can. I also use this product when I feel hot as it is very refreshing and feels very nice on the skin. I think the product will be great on hot summer days at the beach as it will calm and soothe the skin. The product is also said to soothe irritations. This I am not quite sure about because I've used it just once when my jaw was a bit itchy and it did stop the itchiness, but other than that, I haven't had any irritation. So in general I think the product is great for setting makeup, using during the winter when your skin is a bit more dry than usual and in the summer to refresh your skin. Likes - Refreshes and soothes the skin as well as sets makeup. Dislikes - None at the moment. Verdict - Purchasing the 200ml bottle. Available - Pharmacies, Escentual, Boots. What is your opinion on this product? I have never actually tried that, but will do next time. I assume it would be great for summer when you have to continuously shave if you're not getting a wax (sorry for TMI).